Navona is excited to announce the acquisition of 1341 Main Street West, Hamilton, Ontario in December of 2016. The property with a square footage of 25,700 is 100% leased on a long-term basis to Shoppers Drugmart and Starbucks. The central location at the busy intersection of Main Street West and Emerson Street directly across from McMaster University and the McMaster Medical Centres offers excellent visibility and access for cars and pedestrians. The City of Hamilton is planning a new LRT (Light Rail Transit) Line along Main Street, which will further boost traffic and provide for increased development potential. With the acquisition of 1289 Main Street West in Hamilton Ontario, Navona has added yet another long-term leased property to its portfolio in January of 2017. The building of 3,465 square feet on 13,500 square feet of land is leased to the well known tire and auto centre chain ‚Active Green + Ross‘ until May 2026. The central location directly across from the Medical Centre of McMaster University offers optimal visibility and access with again future upside redevelopment potential. 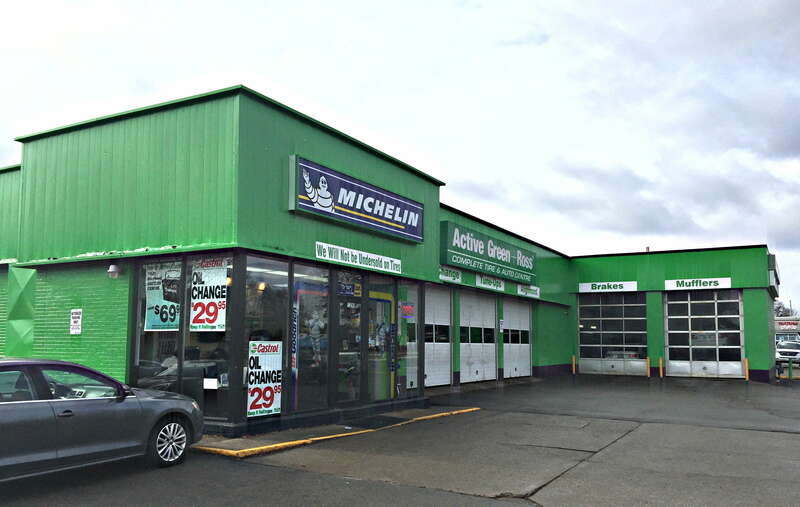 1550 Appleby Line, Burlington: The second floor was successfully leased to the consumer lending company ‚AS 4finance Ltd.‘ for a 10-year term until October 2026. 747 Appleby Line, Burlington: The freight transportation company ‚Load Bearing Logistics‘ has leased 126,750 square feet of the building for a 5 year term until October 2021. This entry was posted in 1. Quarter 2017 on April 19, 2017 by nav_admin.